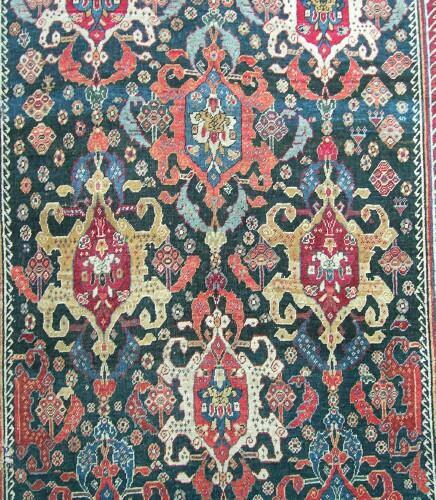 Antique Bolvardi Qasgai rug with beautifully rendered field design. 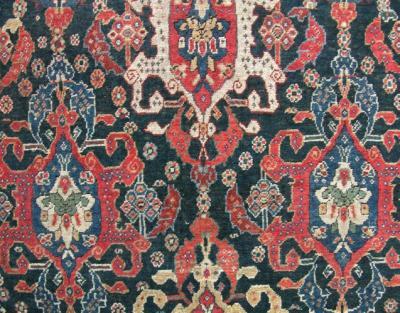 a good 19th century example with all good dyes in good condition for its type. 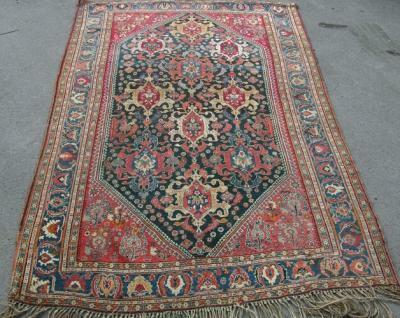 a few small darns, even low pile, large kilim end folded under, original sides.